In today’s environment it’s not if you will be breached, but when. 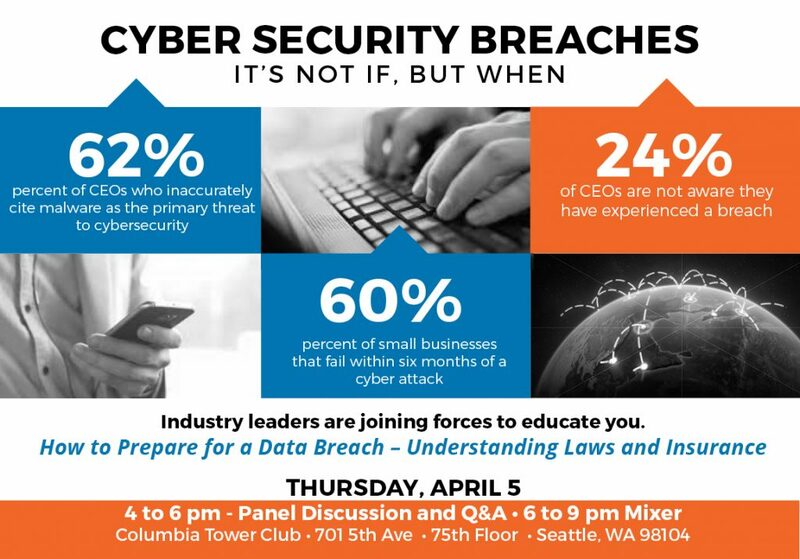 This Thursday, join industry leaders at this free educational session to learn that cybersecurity is not something you buy, it’s something you do! Cybersecurity is not a technology problem but a management opportunity. Expert panelist will teach you about the cyber threats you can’t ignore in our increasingly connected world. You will learn which steps to take to address cyber risks even without an in-depth knowledge of your technology infrastructure. What is the current cybersecurity landscape? What are the legal consequences of a breach? How should we measure & prioritize cyber risks? What is the role of cyber insurance?